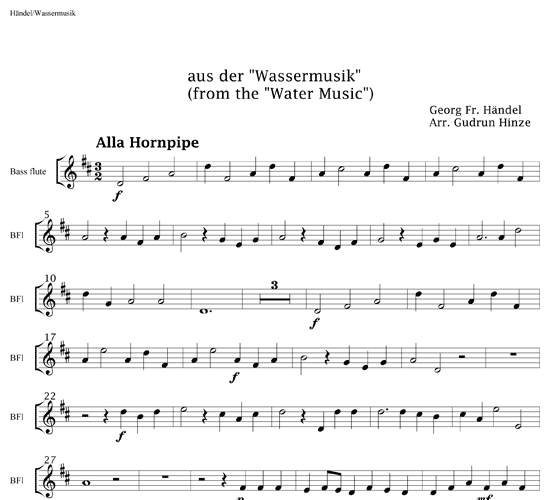 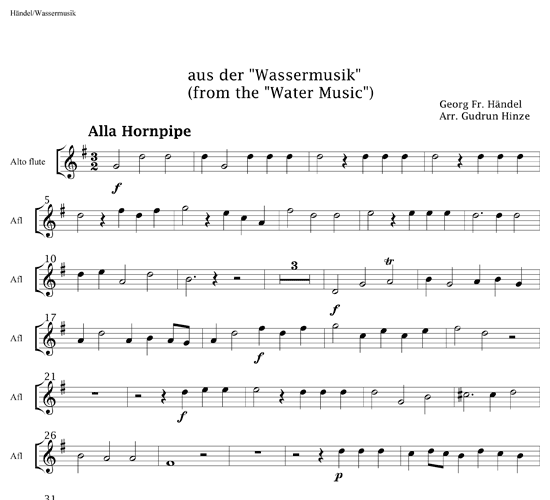 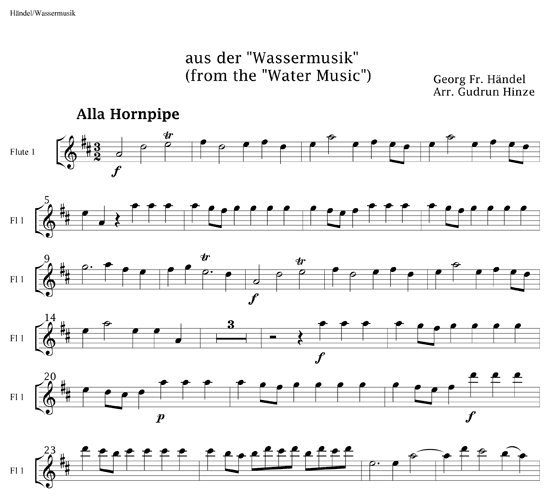 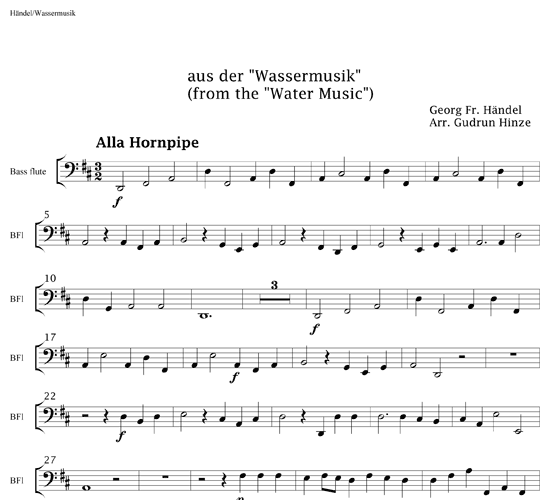 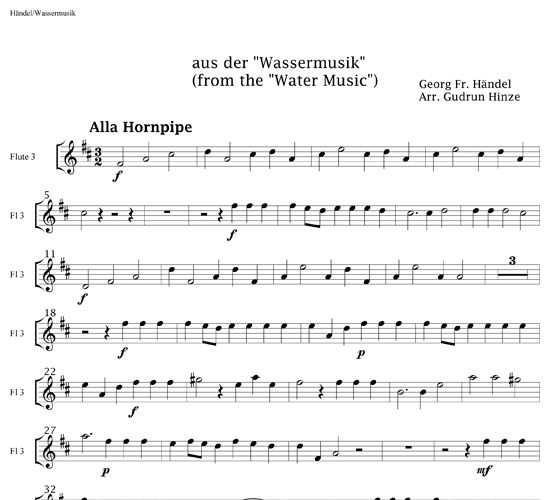 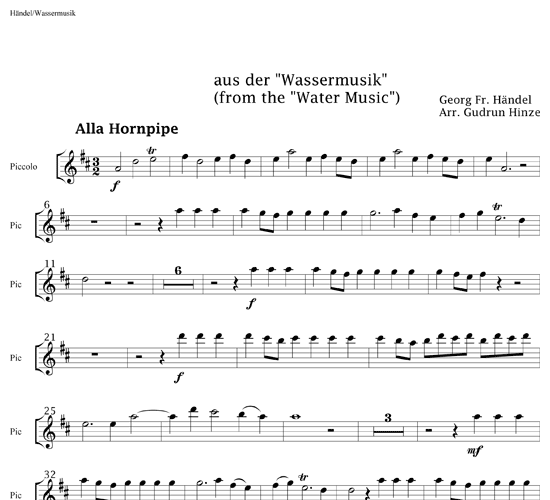 Many special occasions are appropriate settings for Handel's well known Hornpipe from Water Music (“Wassermusik”), such as weddings, seasonal worship, and concerts. 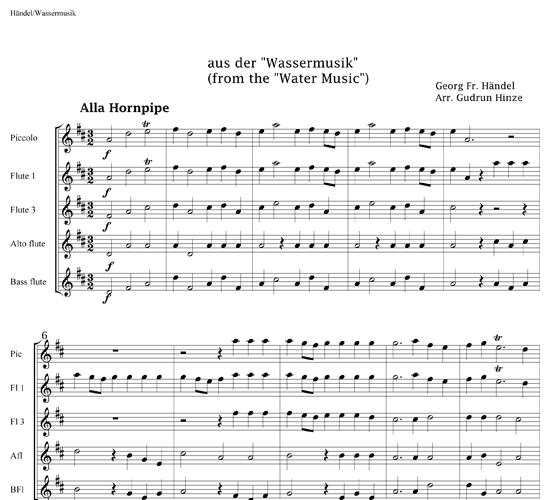 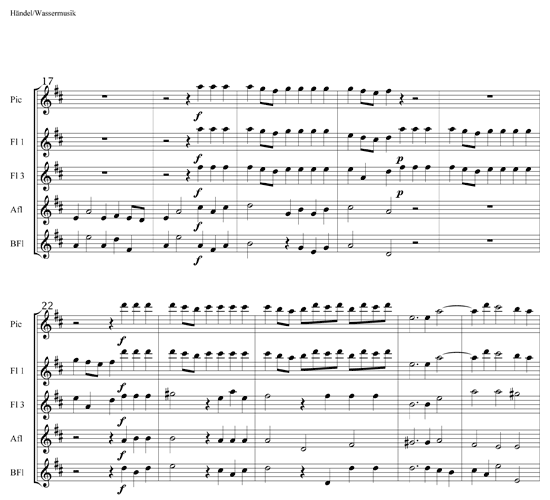 Arranged for flute quintet, this piece provides even more grandeur when performed by a large choir, and possibly supplemented by contrabass flute, string bass, or bassoon. 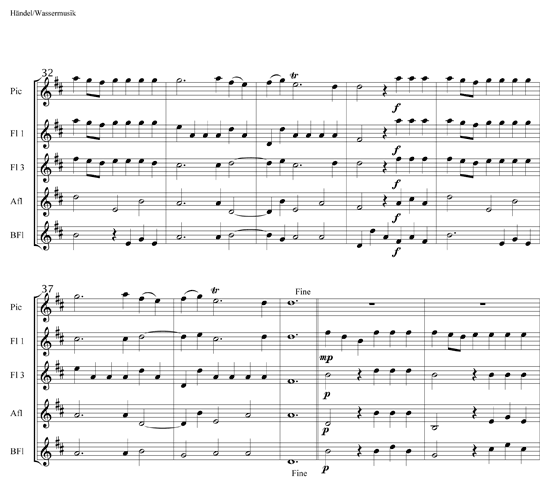 A traditional baroque double choir would place the bass instruments in the center and then the two pairs of flutes (1&2 and 3&4) on opposite sides. 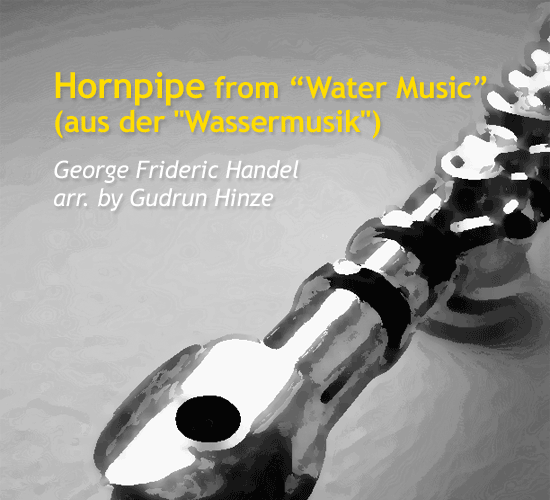 /wp-content/uploads/2013/12/mp3-hornpipe-from-water-music-by-gudrun-hinze.mp3Performed by the Quintessenz ensemble.